It’s a gorgeous day here in Upstate NY as it seems like Spring is finally hitting us! Do you know what spring time means? More horse riding time outside! 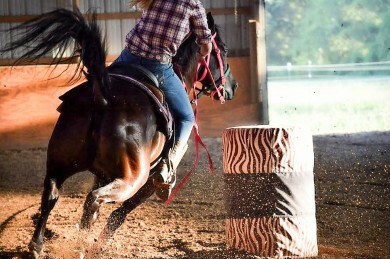 Now is the time to get your outdoor arena ready for spring and summer riding! Let’s take a walk to your outdoor arena and assess any current issues. The arena looks great! Awesome! Don’t worry about doing any maintenance and go for a ride! A lumpy arena. Take your drag and drag your arena good. Make sure you break up the lumpy surface and fluff the top inch. Be sure that you don’t push the footing outwards when you groom, you will build up the edge and possibly lose footing out the side of the arena. Thin areas in the arena. You may have some areas of your arena that are thinner than others. 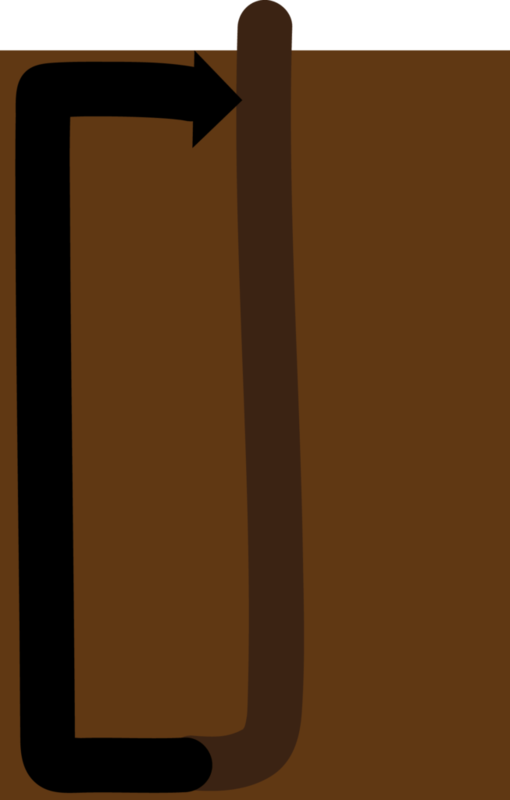 Try to drag the arena so that you are pushing the extra sand towards the thinner areas of the arena. If needed, fill up some buckets in the thicker areas and dump them in the thinner. We often use yardsticks that have the proper arena depth painted on one end, and go around the arena and check them depth in each area. Move or groom the footing accordingly. A wet corner. Not good. You do not have proper drainage in your arena. You may be able to fix it by adding some drainage in the form of perforated drains dug 6 inches down on the outside of the arena and give them a place to drain. 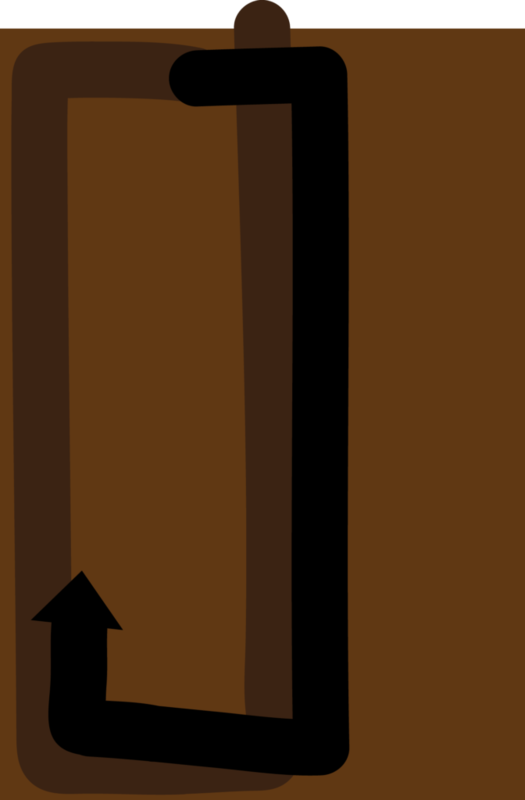 If you notice that that corner is still wet, you may need to add drainage directly in the base of the arena. Be sure to consult a professional arena contractor to do the work for you. Broken Fences. Maybe the winter was a little too harsh on your fence posts. Easy fix! Grab your screw drivers and screw gun and fix the broken fence posts, replace boards that may be broken and go around and tighten all screws. Maybe even repaint them to add a fresh new look to your arena! 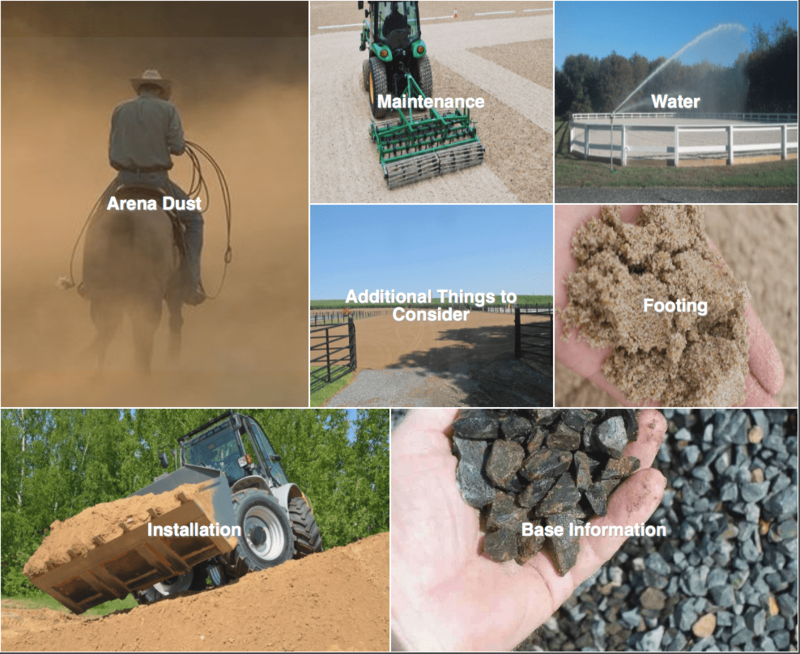 Switching to our dust-free arena surfaces could eliminate many of the potential issues that arise from using traditional sand. By choosing our TruStride or LiteStride for your outdoor arena, you will be spending significantly less time maintaining your arena. The footing will wick water right off of the surface because of the wax component, so you no longer have to worry about wet spots. 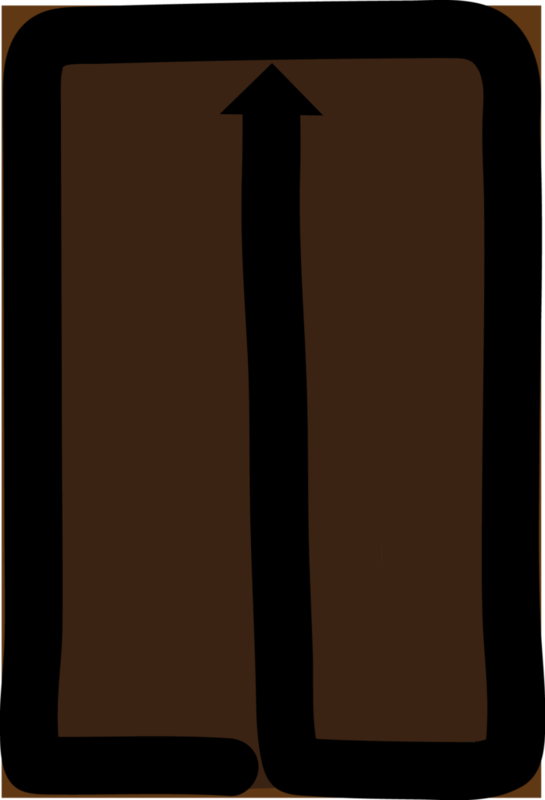 Our footing will not create lumpy spots in the footing and the groomer that is used only fluffs the top inch of the footing. Get your outdoor arena ready for Spring faster by choosing our footing for your outdoor arena! How Does Your Arena Handle A Rain Storm? Don’t you hate when the weather ruins your riding schedule? 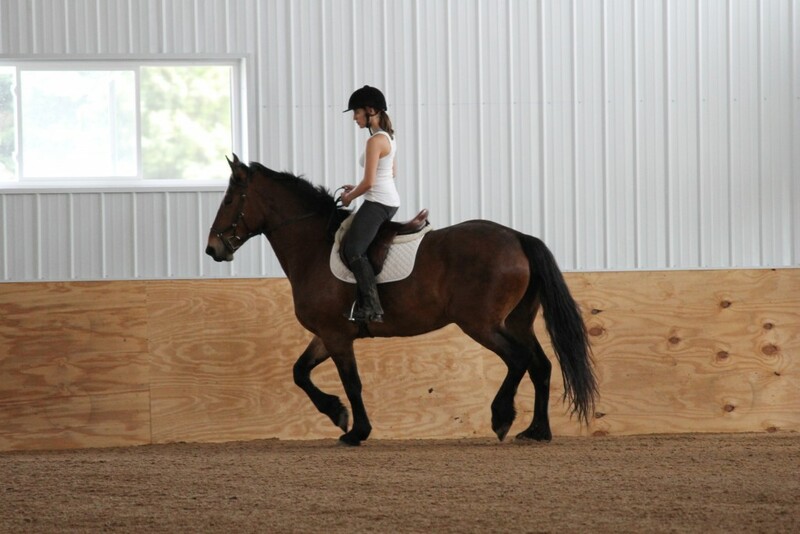 The other day I was all excited to work my horse really good when Saturday came. Well Saturday came, along with a huge rainstorm; which then put the outdoor arena out of commission Sunday also. How does your arena hold up after a rainstorm? There are a few steps you can take to make sure that you don’t end up in a muddy or washed out situation. Location is a huge play in how your arena will react to rain. 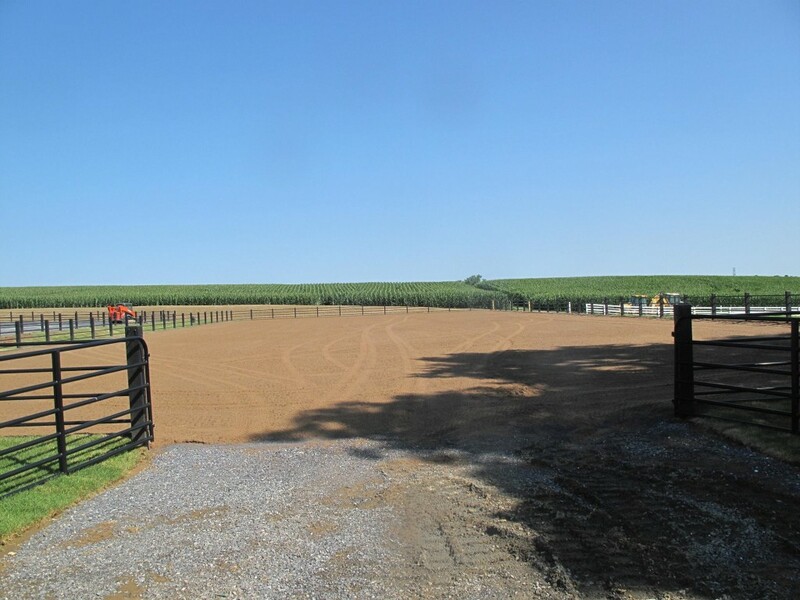 If you have the luxury of designing your own outdoor arena, be sure to choose a spot that is on higher ground, and away from where your barn rain will drain. Adequate base and drainage play a crucial part in draining the arena too. When building the arena, install 3-4 inches of larger aggregate stone on the very bottom, then 3-4 inches of compacted stone dust with a 2% crown, and finish with 3-4 inches of footing with a 2% crown. The crown will allow for the water to drain off of the surface much better. Pressure treated retaining boards rests on top of the large aggregate stone and outside the fence posts. Retaining boards will help your footing from migrating off of the arena when the water also drains off. Perimeter or curtain drains should run around all sides of the arena around 4-6 buried; the large aggregate stone should also surround the perimeter drains. Below you can see a side view of the base in an outdoor arena. Having regular sand in your arena makes it even harder to ride after rain. The sand is easily washed out, and can easily migrate out of your arena. Our dust-free footings are great for both indoor and outdoor arenas. 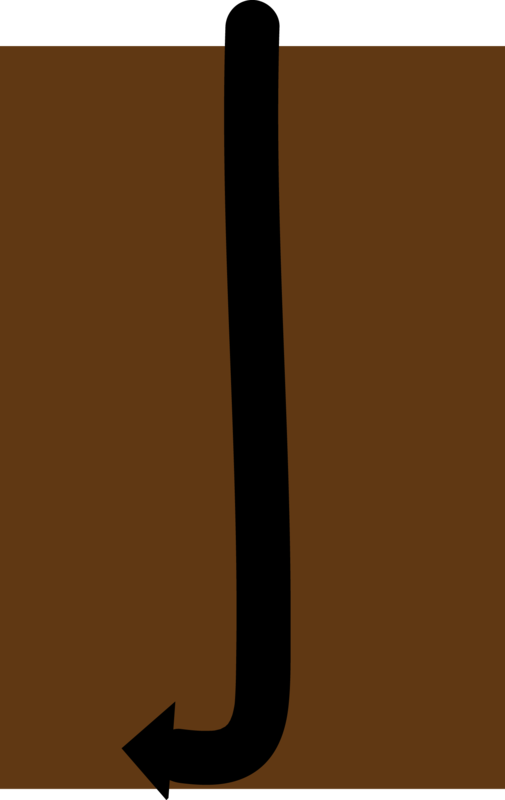 When confronted with water, the wax in the footing blend actually wicks the water off of the surface. Around 80% of the rain is wicked off the surface and the footing only absorbs about 20% of the rainfall. Our customers have given us feedback that they can ride as soon as the rain stops. They don’t have to give their arena time to finish draining the rest of the water. Don’t postpone your scheduled workout again! Choose a footing that can handle heavy rains. Over the years we have answered numerous questions about how to build an arena from start to finish. You can imagine how lengthy that conversation or phone call can be. For this reason, we decided to build The Ultimate Arena Guide that has everything you need to know about building an arena! There are seven categories on our Arena Guide website. I can break them down to show you what topics are in each section. Base Information: This section talks about, well the base. It takes a look at stone sizes, characteristics you need for your geotextile layer, what equipment is needed for installing the base, how drainage should be added, and the difference between an indoor base and an outdoor base. Installation: The Installation category focuses on how to remove old footing and how to dispose of it, how your footing should be installed, and delivery costs and options. Footing: Sand is the main components of 95% of the arenas in the world. The footing category explains every aspect of sand from the sieve analysis to shape of the sand. It also explains additives, different coatings, longevity, replenishment, and what footing is best for certain riding disciplines. Maintenance: Maintaining an arena is just as important as building the arena. This section explains the different types of groomers and relative prices for each. Arena Dust: Dust can be dangerous for both the horse and rider to inhale. Coatings that help or stop dust are specifically explained in this category. Water: If you decide to fight dust with water instead of coatings, the Water category explains sprinkler systems, evaporation, and the correct moisture level to achieve maximum performance. Additional Things to Consider: There are a few odds and ends that go into this section such as insurance for your contractors, what to ask about MSDS Sheets, and consulting for your facility. We’d love for you to check out our Ultimate Arena Guide, and feel free to leave a comment! How do you choose an appropriate arena site, for both an indoor and outdoor arena? What do you look for? Do you need to excavate a site? What type of fill do you use for the sub-base and base? 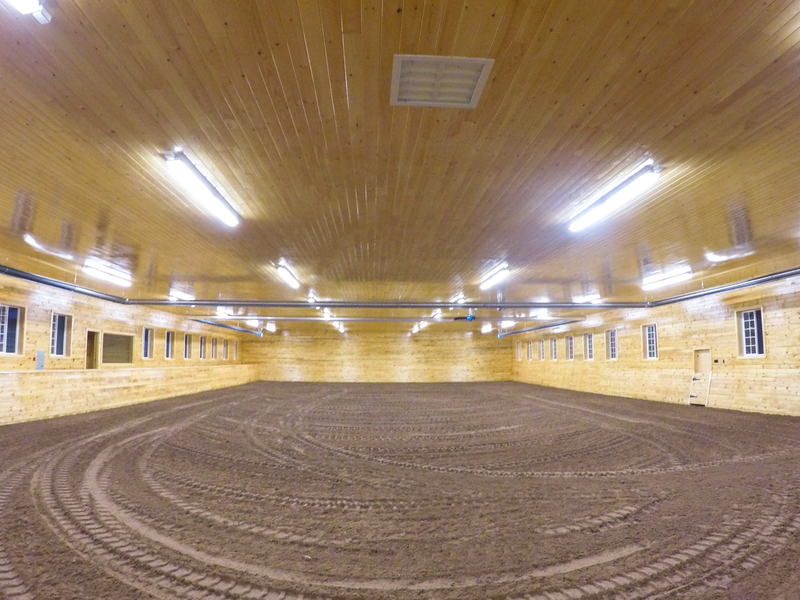 What is the best drainage design to use for an indoor vs. an outdoor arena? What is your opinion of the grid system vs. stone dust for an arena base? Is one system better in an outdoor vs. an indoor arena? How do you install the footing layer? Why do you/ your customers choose IGK Equestrian’s Footing? What has been the feedback from customers about IGK Equestrian’s Footing? 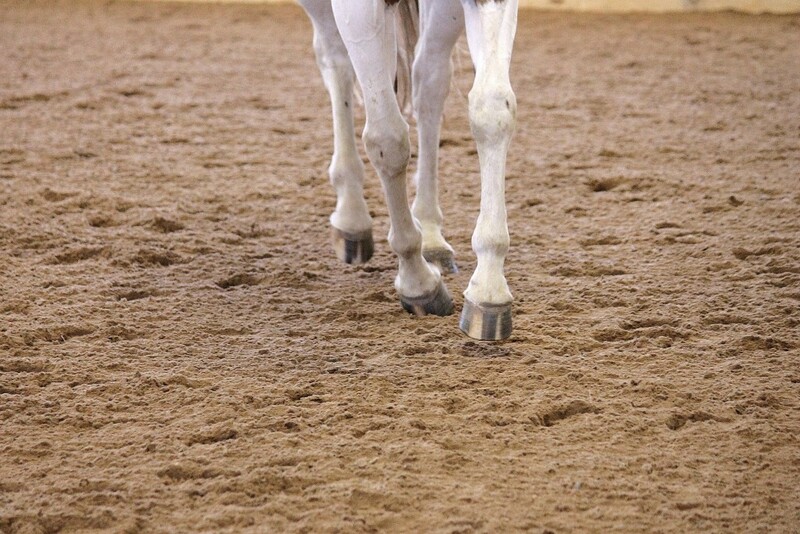 How do you like installing IGK Equestrian’s footing? How long have you been doing excavation work? To contact East-West Arena Construction for a quote or for more information, check out their website: http://www.eastwest-construction.com or take a look at some of their beautiful arenas on their Facebook Page!